Ms. Claudia “Sis” Pearl Waters Bass, age 83, of Lake City, FL passed away on Thursday, August 30, 2018 at Bailey Manor in Winchester, TN. Claudia was born on January 22, 1935 in Wellborn, FL to the late James Floyd Waters, Sr. and Ludah Mae Harper Waters. She was raised in Suwannee County near Falmouth Spring. She graduated from Suwannee High in 1952. At the age of 19, she moved to Jacksonville, FL where she was employed by Southern Bell. She continued to work for Southern Bell for a total of 19 years in Gainesville and Lake City, taking time off to care for her children. Claudia was a member of the Lake City Church of Christ until she moved to Winchester, TN in 2018, where she could be taken care of by her children. 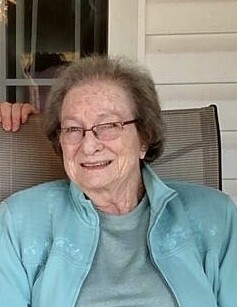 Her hobbies included growing flowers, collecting seeds to try to grow, quilting, collecting family pictures, raising angel fish, and had a passion for genealogy. Most importantly, she loved her children, grandchildren, and great-grandchildren. In addition to her parents, Claudia is preceded in death by her loving husband, Jamie Wilson Bass, and her brothers, James “Pete” Floyd Waters II and Donald Garvin Waters. Ms. Bass is survived by her sons, Michael James (Diane) Bass of Cowan, TN, Kevin Donald (Joy) Bass of Decherd, TN, and Scott Ernest (Kim) Bass of Lake City, FL; her daughter, Lisa Renee Bass (Rick) Beach of Lake City, FL. 13 grandchildren and 8 great-grandchildren also survive.